When I got Ristar’s SEGA Forever mobile port last year, gameplay was slow, the saving system sucked, and the ads were unbearable. 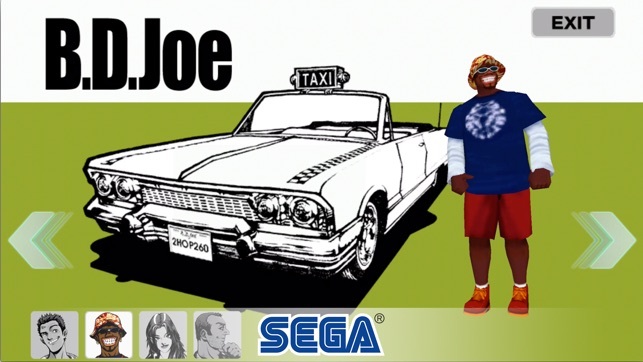 Now with Crazy Taxi, I see SEGA Forever has improved greatly. The game doesn’t lag a bit, not sure about saving but I’m guessing it’s improved, and, thank Yuji Naka, you don’t get an ad each time you touch the screen. Aside from SF’s improvements, the game itself is great and fun to play. 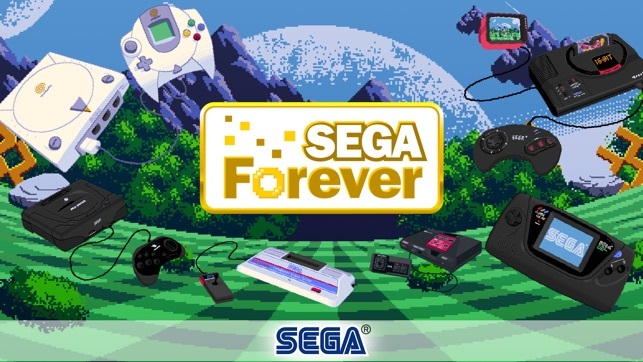 You get to choose the difficulty of your next job, the music is great (of course it is, it’s SEGA), and it has a ‘90s charm to it. 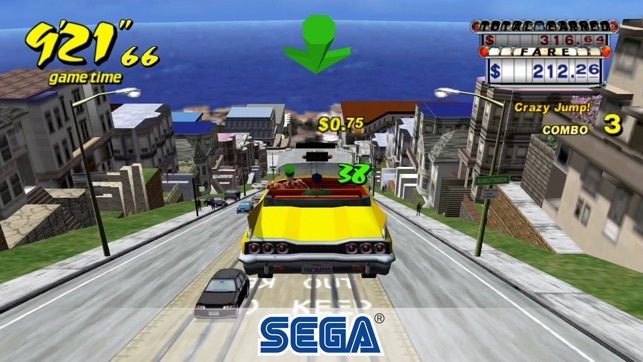 I may not have been alive when this came out, but still, it feels like I’m playing GTA San Andreas but better (and not nearly as gory). Overall, 5 Stars, and I didn’t even rate it that to get featured, honest. Now I’m just waiting for the Sonic 3 & Knuckles mobile port by Taxman and Stealth. 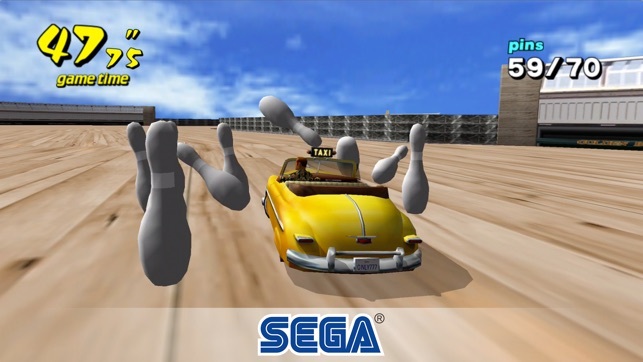 Yeah, that’s right SEGA. People still want that. It took way too long to get into the app. I don’t know if it is any good anymore or not. I had not played it in a while so I clicked on the game. The first thing it did was ask for my iTunes password. No. Then it made me answer about 10 questions about how I wanted to play. Then, once I got past all of that, it slapped me in the face with a full screen ad before it would even let me see a single frame of game play. DELETE! I will now never know if the game is as good as the last time that I played it. It was fun before they got so ad happy (but not fun enough to deal with the frustrations of starting the app). It also doesn’t help that internet access is absolutely REQUIRED to play. Got this for my ipad that does not have cellular. If I am not at home I cannot play. It makes me wonder what kind of info that sega is secretly stashing away about me while I play. Thanks SEGA for ruining a good experience. Wish it was the XBOX version. This game is good. I just wish it was more like the XBOX version. I liked in that version how the driver could pick up more then one person at a time. And I also liked that there was more worlds to drive in. Still this is a good game. Please update this app. I just tried to open the app and got a message saying. 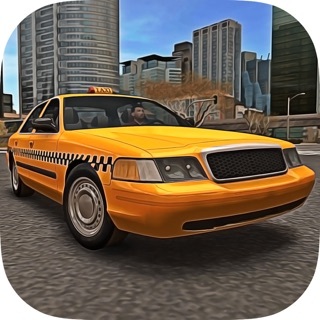 This app may slow down your iOS device. The developer needs to update the app. I don't get this message on apps that were updated recently only apps that have not been updated in a while. Please remove adds. In 2015 when I found this game I had to pay to get the game. And for a while I’m getting adds with this game once and a while. And now the game won’t start. Please update the game. 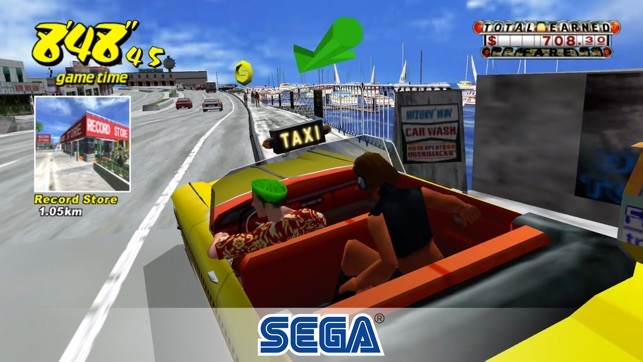 © SEGA, the SEGA logo and CRAZY TAXI are either registered trade marks or trade marks of SEGA Holdings Co., Ltd. or its affiliates. All rights reserved.